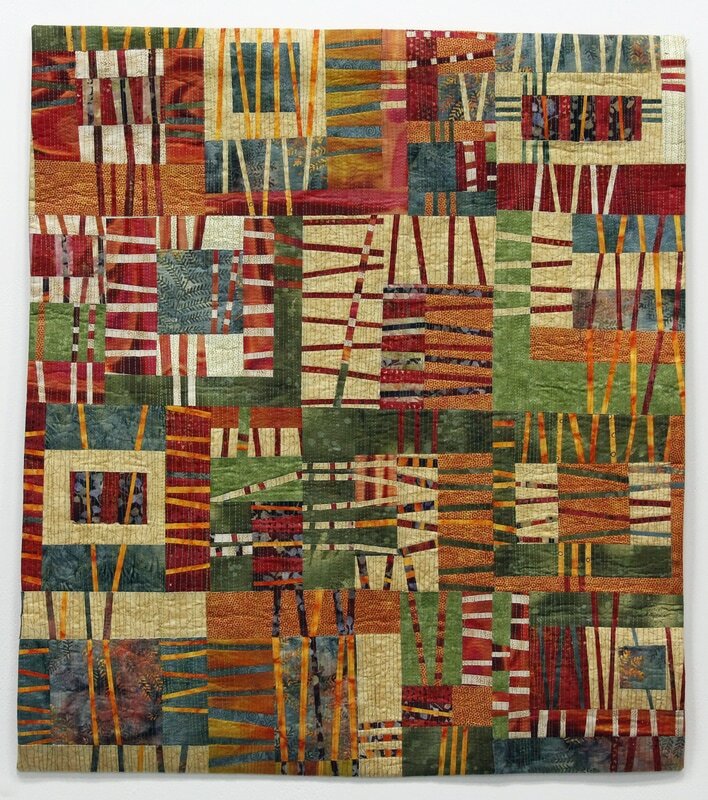 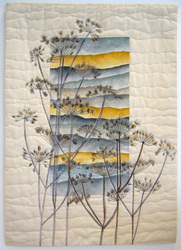 I have been making my own fabrics using paintsticks and creating abstract landscape patterns. I made a series of small wall hangings using this technique and on some of these pieces I superimposed images of plants printed on silk organza which were then stitched down. 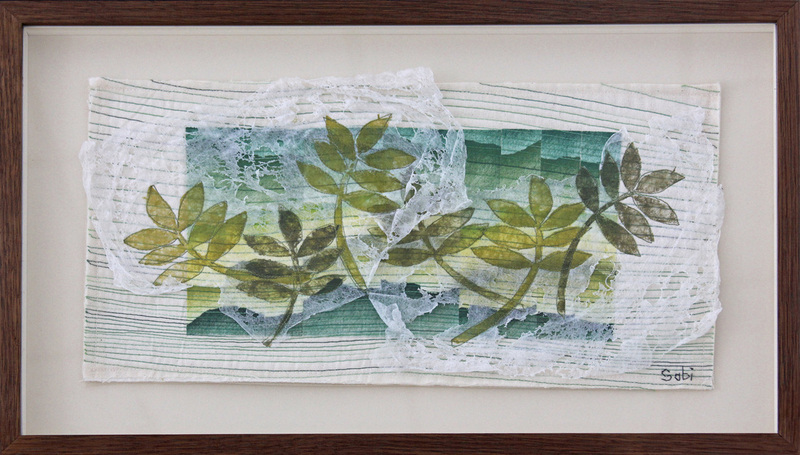 Teabags have also been used in recent work, as you can see on my blog page. I like the random colouring of used teabags, with varying depth and pattern. 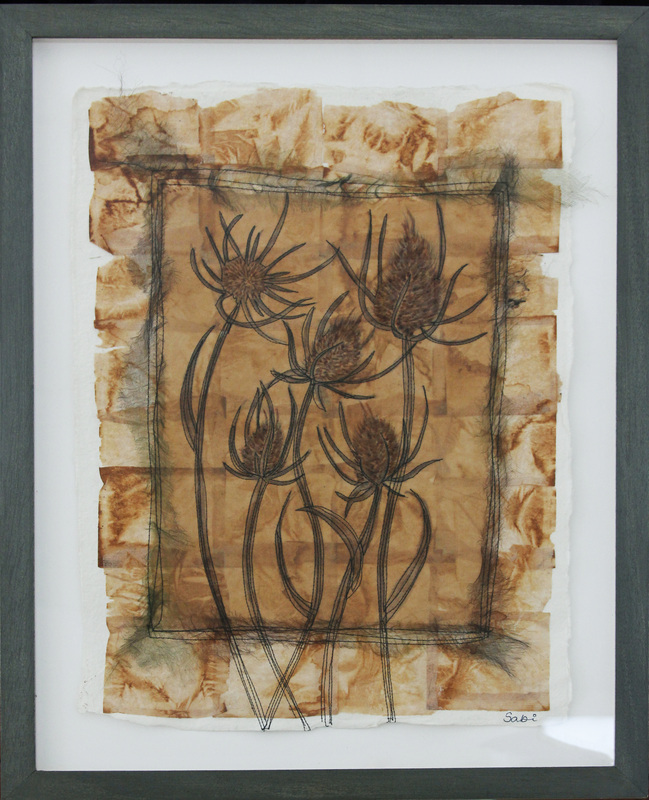 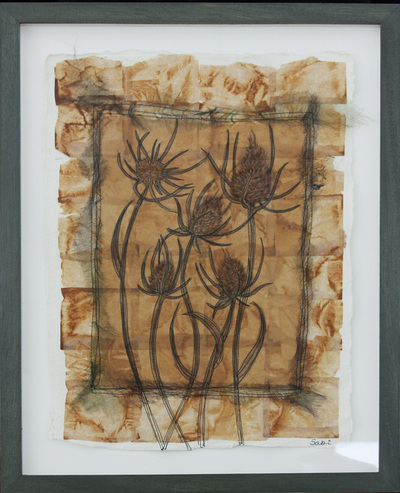 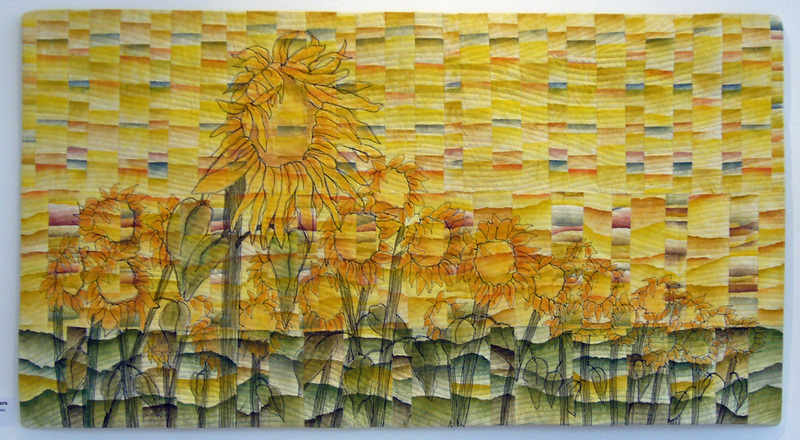 I felt that the printed images of teasels from a thermofax screen of one of my drawings combined well with the teabags. 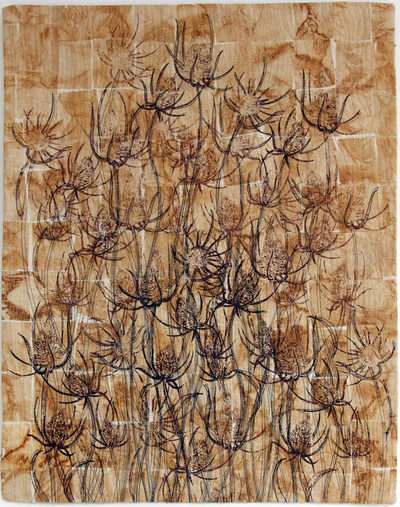 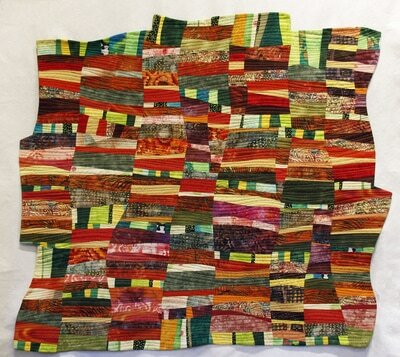 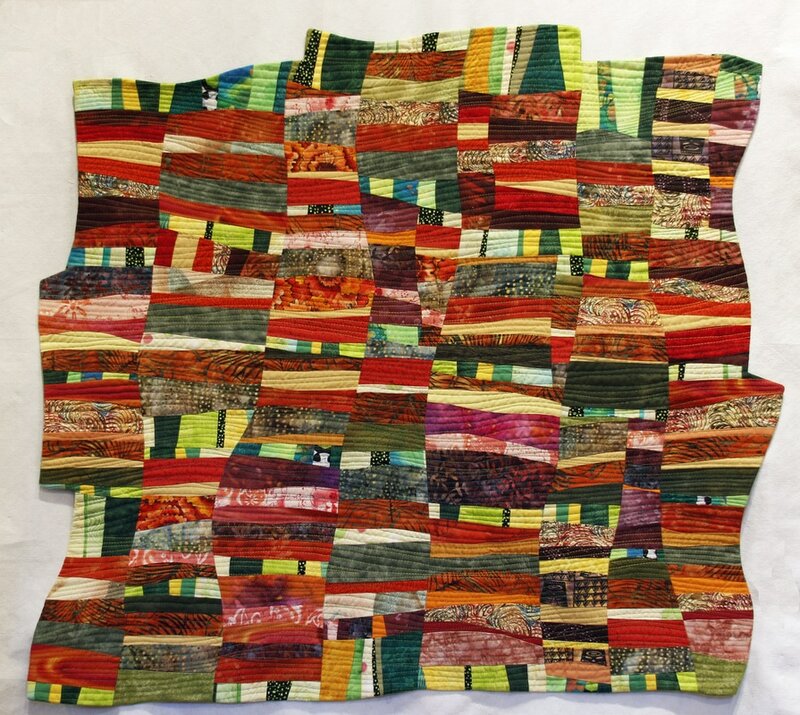 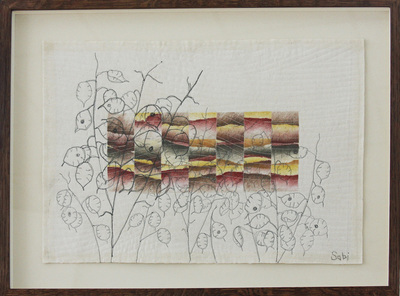 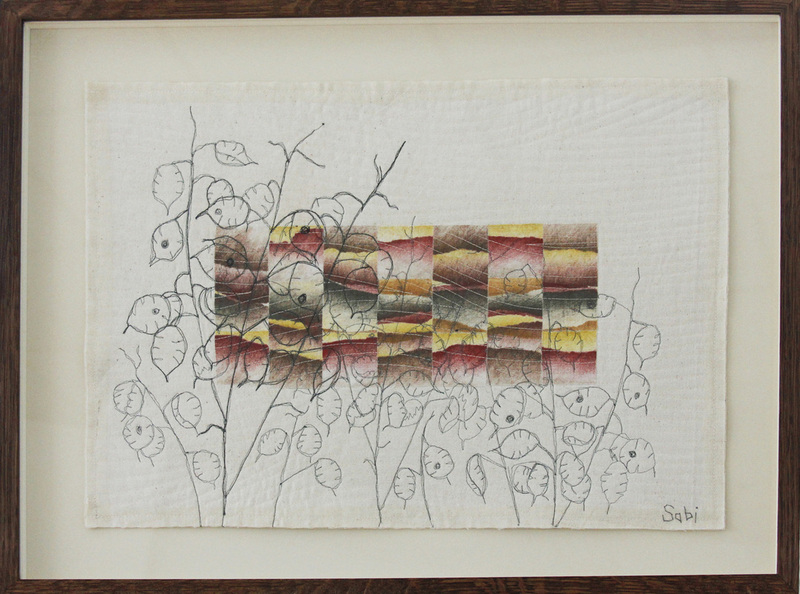 Heavy stitching on Khadi paper transforms it to a textile-like quality, perhaps reverting to its roots of cotton rag. 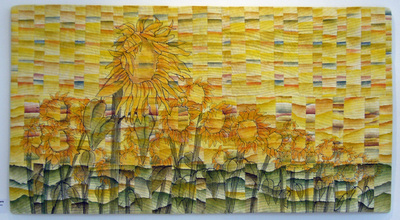 This was the technique I used in Place #1. 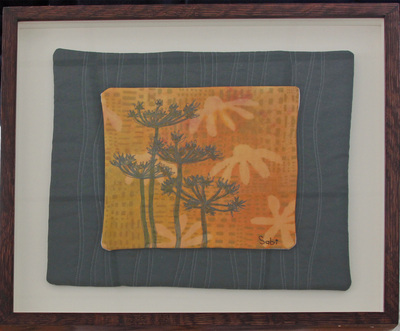 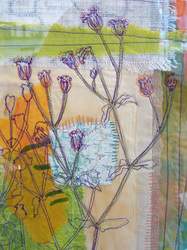 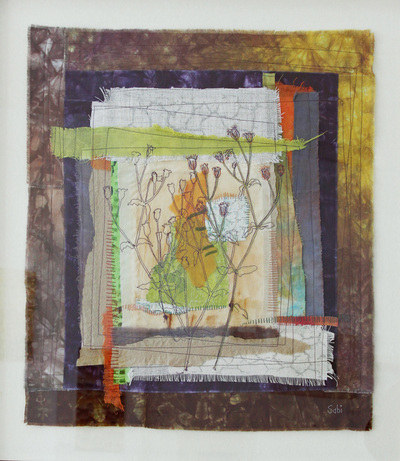 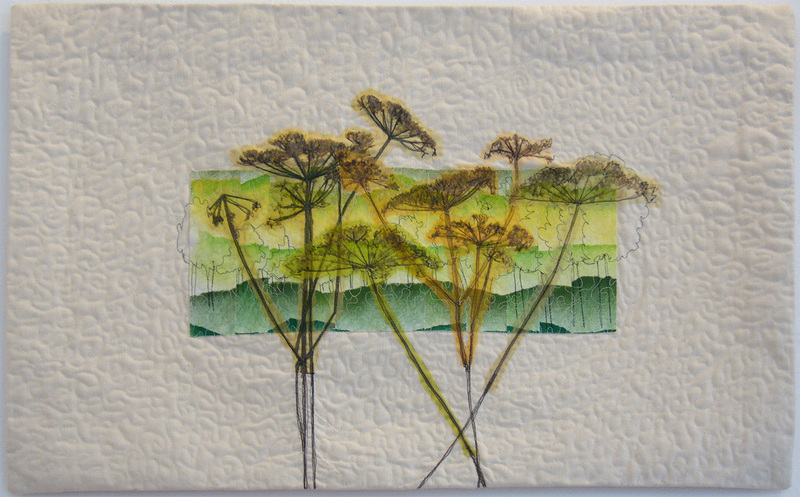 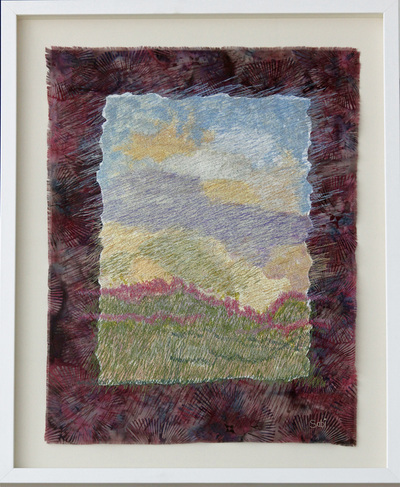 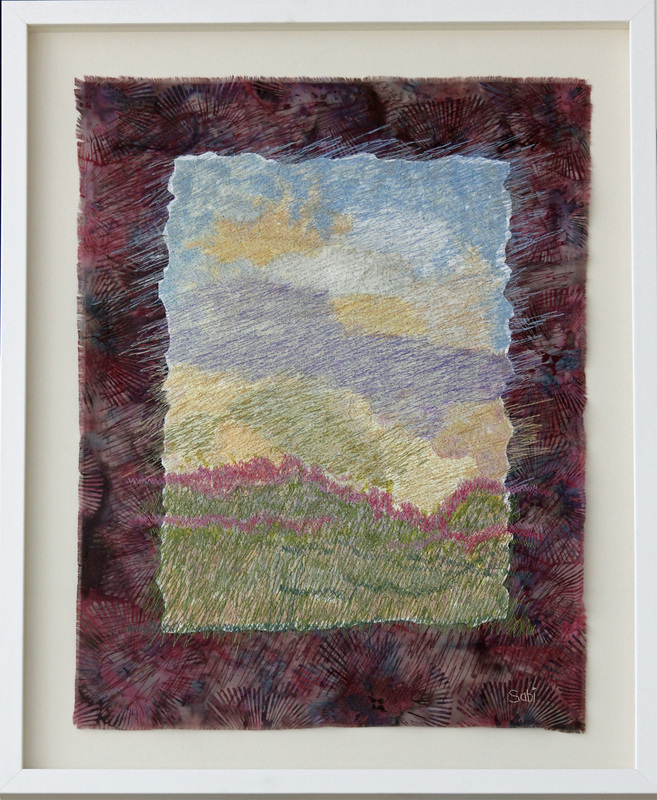 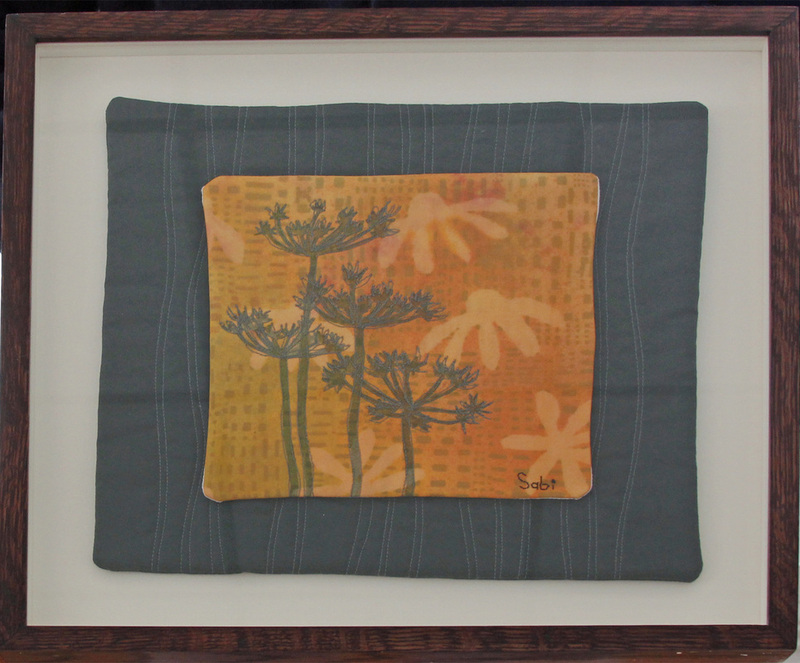 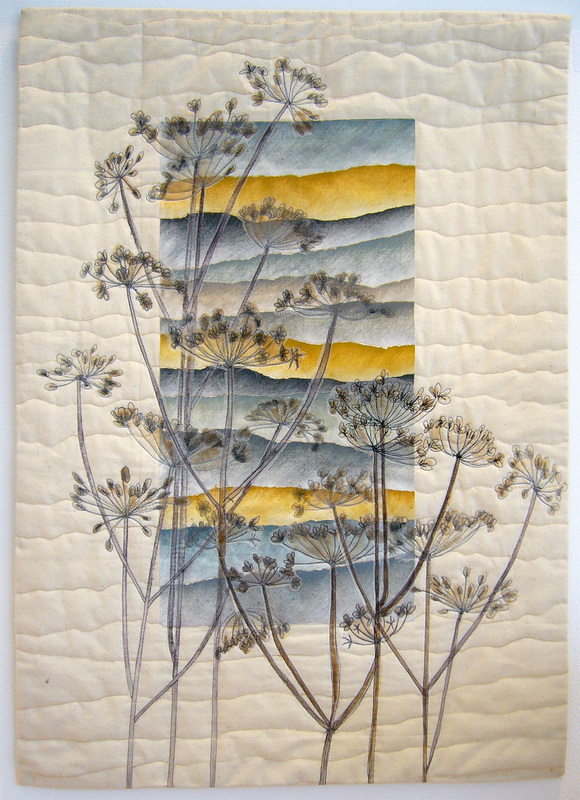 And then collaging fabric and paper, combining hand and machine stitching, as in Seedheads, was pure pleasure. 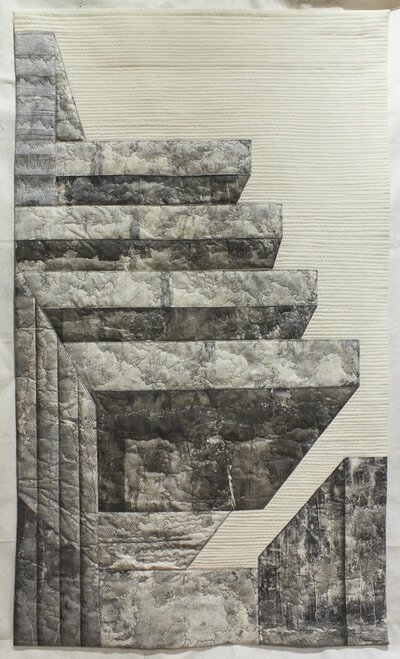 I hope you enjoy looking at these works as much as I did making them.